UNITED STATES: The Long Island Power Authority (LIPA) is expected to approve Deepwater Wind's 90MW offshore wind project off New York state this month. The Deepwater One South Fork project would be in federal waters 48km east of Montauk, Long Island, north-east US. LIPA staff have recommended the state-owned utility's board of trustees approve the project when they meet on 20 July. The project is slated to use 15 6MW turbines. A power purchase agreement would then be negotiated, which the trustees would again have to approve. An online date of 2022 is projected. "Our proposal to Long Island is a huge step forward and a validation of our long-term plans. This industry is really about to take off," said Deepwater CEO Jeff Grybowski. It would be the first phase of Deepwater's 1GW Deepwater One project, for which the developer has a lease from the federal government. 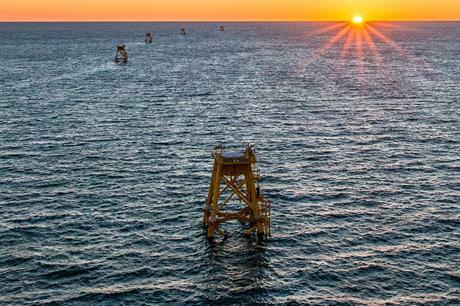 Deepwater Wind is also the developer of the 30MW Block Island project under construction nearby off Rhode Island with GE turbines, the US's first offshore wind project. New York state plans to source 50% renewable energy by 2030.